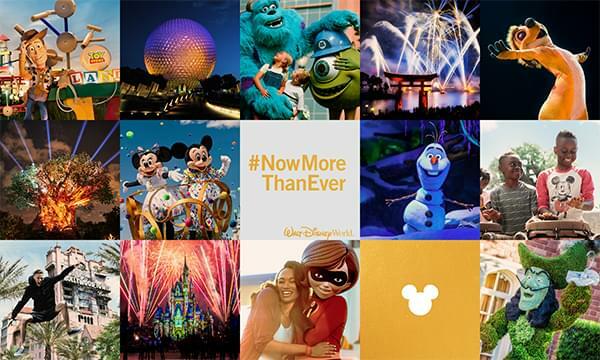 WALK 97.5 wants you to experience the magic now more than ever, with a Walt Disney World vacation! It’s a moment for your family to capture, to enjoy, and to savor… together! Listen to WALK 97.5 weekdays at 9:25am, 1:25pm and 4:25pm. Be the ninth caller at 631-955-9750 and get qualified with a $25 Disney gift card. Then, you’re in the running for the grand prize… the ultimate Walt Disney World vacation including a 3-night Disney Resort stay, airfare, ground transportation and Park Hopper tickets! Limited-time experiences are making their way across all four theme parks… and Walt Disney World Resort is now more magical than ever! ELIGIBILITY. No purchase is necessary to enter, and all contests on WBZO, WHLI, WKJY, WALK & WWSK (Connoisseur Media, CMLI) are open to all persons age 19 and over, unless otherwise specified in contest-specific rules. Employees and families of Connoisseur Media, THE WALT DISNEY COMPANY RESORTS, its affiliates, other radio stations, record companies, and participating sponsors and their affiliates are not eligible. Southwest Airlines Co. is not a sponsor, co-sponsor or administrator of this contest. GENERAL: By participating, entrants agree (a) to the Official Rules and to the decisions of the station and its agents (including THE WALT DISNEY COMPANY), which decisions shall be final in all matters relating to this Contest; (b) if their name is selected as a winner, to the announcement on-air of their name and, if it is determined by sponsor to confirm their winning in-person, to having such confirmation taped, filmed and recorded for use on air or in any other media; (c) to release, discharge and hold harmless the station, CMLI, Southwest Airlines Co. and THE WALT DISNEY COMPANY, their subsidiaries and affiliates and their respective directors, employees and agents from any liability, claims, losses, damages and injuries arising directly or indirectly, in whole or in part, from their participation in the Contest and the acceptance and use of a prize; and (d) that the station, CMLI, Southwest Airlines Co. and THE WALT DISNEY COMPANY, their subsidiaries and affiliates and their respective directors, employees and agents are not responsible for any error, omission, interruption, deletion, malfunction, defect or delay of any kind in telephone calls, radio transmissions or on-line or internet submissions or for the failure of the station or CMLI to receive telephone calls for any reason, or for any computer or software malfunction of any kind affecting the proper execution of this Contest or for late, lost, illegible or damaged mail or entries. Sponsor reserves the right, in its sole discretion, to cancel or terminate the Contest in its entirety or partially should it become technically corrupted for any reason or because of non-authorized human intervention. CMLI, the station, Southwest Airlines Co. and THE WALT DISNEY COMPANY are not responsible for typographical or other technical or administrative errors in the printing, the offering or the administration of the Contest, or in the announcement of a prize. Contest rules subject to change without written advance notice. GENERAL PRIZE INFORMATION. One winner per household per sixty (60) days. Winners of prizes valued at more than six hundred dollars ($600) must wait a total of six (6) months before becoming eligible to win additional prizes from WBZO, WHLI, WKJY, WALK & WWSK. Qualifiers must reside or be employed within the geographic listening area of WBZO, WHLI, WKJY, WALK & WWSK as defined by Nielsen. Prize winners must present valid identification and proof of age to claim prize. Winner is subject to state, local, and federal taxes where applicable. If for any reason the winner is unable to utilize the prize on the dates given, subsequent draws will be made until a qualified winner is drawn. Prizes are non-transferable, and no substitute prizes will be awarded under any circumstances. Prizes may not be substituted or redeemed for cash. Prizes may be claimed at least twenty-four (24) hours after winning, and within thirty (30) days, at 234 Airport Plaza Boulevard, Suite 5, Farmingdale, NY 11735. Pick-up hours are Business Days, Monday through Friday, 9am to 5pm. In the event of any disagreement regarding contestants, winners or qualification of winners, or adequacy or value of the prize, the decision of Connoisseur Media shall remain final. All prizes will be awarded. Prize winners must sign hold harmless and indemnity agreement, agreeing to hold WBZO, WHLI, WKJY, WALK & WWSK, its licensee(s), and the officers, shareholders, directors, employees, agents, and representatives of each of them harmless against any and all claims of liability arising directly or indirectly from the prize or contest. Void where prohibited. RELEASE. By entering a contest on WBZO, WHLI, WKJY, WALK & WWSK, each participant in the contest, including all winners, acknowledge that WBZO, WHLI, WKJY, WALK & WWSK, Connoisseur Media and THE WALT DISNEY WORLD COMPANY, will have the right to reproduce, publicize, and broadcast his or her name, photo, likeness, email, telephone number, and all matters incidental thereto without compensation. Anytime the on-air studio is called, it is assumed by the caller that the phone call is being recorded and may be broadcast. The caller grants permission to WBZO, WHLI, WKJY, WALK & WWSK to broadcast the call or record the call for later broadcast. CONTEST-SPECIFIC RULES. All rules specific to individual contests are created by WBZO, WHLI, WKJY, WALK & WWSK Management, and its legal counsel if necessary. Decision of Connoisseur Media management with regard to rules, specifications, qualifiers, winners, and prizes, is final. Listen to WALK 97.5 (WALK), weekdays at approximately 9:25am, 1:25pm or 4:25pm starting Monday February 11, 2019 through March 1, 2019. Participant must be caller 9 when they hear the cue to call to qualify. Cue to Call will be announced by WALK 97.5 announcer. Each qualifier will receive a $25 Disney Gift Card and be in the running for the Grand Prize. Total of forty five (45) $25 Disney Gift Cards will be awarded to winners ON-AIR (1 per winner). Each winner will be deemed a Grand prize qualifier. One (1) Grand Prize winner will be selected by random on or around 4/8/19 from all qualifiers during the contest period. These are the official contest rules of WBZO, WHLI, WKJY, WALK & WWSK in partnership with THE WALT DISNEY COMPANY. These rules may be subject to change without notice if necessary to comply with the Telecommunications Act of 1996, rules and regulations of the FCC, or any applicable law.